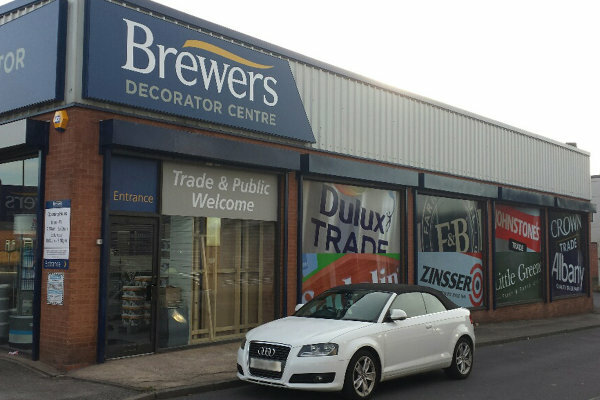 The conveniently positioned Brewers branch in Bulwell, Nottingham, has parking to the front and side. Branch manager, Sally and her team of four have a wealth of industry knowledge, customer service excellence and are keen to welcome you to their impressive branch. Servicing both the trade and public, the branch offers all the best brands in the industry; from Albany, Crown and Dulux to Farrow & Ball, Johnstone’s and Zinsser...and everything in between. The impressive showroom is an area to gather inspiration, with hundreds of wallpaper patterns to browse plus access to thousands more at the Wallpaper Direct terminal. We're situated on your left - you can't miss us! Visit the Nottingham branch, it has an extensive stock range and beautiful showroom to help inspire!